What Lessons Are We Learning from the Great Recession? Lower your airstairs at any of our 102 worldwide locations and you’ll immediately notice our warm, personal greeting. It’s the first item in our Signature Service Promise. Followed up with safe, ramp-ready handling, inviting facilities, personal attention to passengers and crew and available QuickTurnTM service. Add to that our always fair, competitive pricing, and you’ll want to make Signature a permanent part of your flight plan. Find specific information about individual locations at SignatureFlight.com. Please visit us at booth #7070. 24	Slots: Time for a Revolution? Andrew Charlton explains how slots have become aviation’s equivalent of the hereditary class structure. In our last issue we asked readers to vote for the aircraft in development that they think will actually make it to the market. Find out which aircraft they think is the most, and the least likely to fly. FlyCorporate’s Dan Smith takes a closer look at some of the latest trends in cabin interior design. All aircraft operators are required to have a SMS in place by November. Iain Tulloch shows how the British Antarctic Survey implemented theirs. “Can I fly my foreign-registered aircraft between two or more points within Russia?” Derek Bloom from Capital Legal Services responds. Now in his 70s, Bernard Magrez, vintner extraordinaire, is expanding his wine empire with the help of his trusty Dassault Falcon. Have a safe flight Flying is the highest possible goal. To be a pilot takes an independent spirit that needs to soar, skills and experience earned from years of study and many hours of practice, an exploring nature that accepts no earthly boundaries. We’re an independent aviation insurance broker with a thorough and long-established understanding of the aviation world and the needs of our clients. as a reliable partner, with our feet firmly on the ground, we offer private and commercial aviation owners and operators worldwide the best possible solution in aviation insurance and risk management. so go fly, go fly high, go soar, go explore. Free as a bird Independent specIalIsts Like you, we value our independence. Therefore we’ve established a strong relationship with various insurance underwriters worldwide, so that we can offer you the most relevant protection at the most competitive rate. Pioneering sPiriT 20 years of experIence We’ve earned respect as an aviation insurer amongst business aviation operators and private fixed wing or rotor wing aircraft owners and operators. They value the know-how and expertise we’ve built up over 20 years. gLobaL WingsPan worldwIde custom base and Insurance partners We maintain a strong, unbiased relationship with aviation insurance underwriters around the world. We’re a trusted, independent partner for private and commercial aviators in 25 countries. High fuel prices, limping economies and a plethora of European Commission (EC) directives aside, does business aviation have a future in the Eurozone? Sanjay Rampal believes corporate flying in Europe will always be in vogue. Embraer creates a new paradigm with the Legacy 450 and 500. If you choose to lease an aircraft rather than buy, what issues do you need to consider? Tim Kern examines the options to discover whether leasing is still a smart idea. Dan Smith compares two of the leading eReader brands. Dennis Rousseau explains how economic downturns affect aircraft pricing and sales and explores whether we are headed for a double-dip recession. Amy Laboda explores how regulators and pilots are working together to minimise emissions and fuel consumption. Business aviation facilities and services in and around Rome. With a proper plan, even a one-aircraft flight department can avoid missed trips due to maintenance. John Van Geffen offers a guide for non-US citizens who wish to register an aircraft in the US. SUCCESS. STREAMLINED The experience you deserve awaits. When time becomes invaluable, the financing and acquisition of a corporate jet or superyacht will deliver exceptional privacy, pleasure, convenience and economic sense. So does Barclays. Structured asset finance from the Corporate Jets and Superyachts Division. Please recycle this magazine when you are finished. N째 Orias : 07 001 542 - www.orias.fr - Photo : Getty Images. The partner you can rely on for all your aviation insurance needs. The pit stop that fuels your business You choose your destination. Pick your FBO too. Touch down cordially. With Executive Handling by Aéroports de Lyon. Helping you make private VIP and business flights into the Lyon area a pleasure. Offering tailored passenger and crew services and a hospitable welcome round the clock, we can accomodate all kind of business aircraft. The ergonomic terminal and apron facilities of Lyon-Bron with its non-slot required runway, in association with Lyon-Saint Exupéry, allow for maximum privacy, efficiency and flexibility. An intelligent solution to move your business forward. You have the choice. Make it. What’s the New Normal? eReaders and mobile computing. Digital is the new print! Most business people spend 40% of their time on Blackberrys and iPhones. Content must be packaged to serve the needs of executives on the go and smart companies like Jeppesen and IREX Technologies are doing just that. (Versus, page 71.) What’s the New Normal? Business Aviation. For all the recent talk of corporate excesses, one thing cannot be refuted; the alternative to business aviation – flying commercially 100% of the time – is simply unfeasible. Private business travel, for those who can afford it and can benefit from it, has and will continue to be the best way to stimulate commerce and boost economies. (BizAv in Europe: Regaining Pace, page 42.) I for one think these are truly interesting times as I witness communities, industries and even entire nations fight against the changing current and struggle in vain to hang on to the ‘good old days’ and the ‘old ways’. What’s so commendable about business aviation is that, fundamentally, it’s about connecting people: efficiently, conveniently, sustainably, swiftly and innovatively. If there is any community that should rise to the top and lead the way in the new world order, it should be ours. In Brief Deer Jet and Comlux to Develop Asian VIP Market Deer Jet, the Chinese VIP charter company belonging to HNA Group, and Fly Comlux have agreed to develop the VIP charter market in Asia, Central Asia and Europe. Deer Jet already operates a fleet of 23 aircraft across Asia and an FBO in Beijing. The Comlux VIP fleet includes 15 aircraft. Fly Comlux also has a facility in Kazakhstan. The agreement will provide the customers of both companies with a complete fleet of VIP aircraft that are able to meet almost all mission requirements. â&#x20AC;&#x153;We are already operating the largest VIP fleet in China and we are confident that this agreement will strongly develop our market position and our customer base. With Comlux we can expand our charter business in Europe and Central Asia.â&#x20AC;? said Zhang Kui, CEO of Deer Jet. Jetcorp Moves to New Facility Jetcorp Technical Services is moving into new premises at the Spirit of St Louis Airport near Chesterfield, Missouri. The new 5,300 m2 (57,000 sq. ft) facility contains hangar and shop areas (including a component and sheet-metal work area), modern avionics space with the latest equipment, and maintenance and sales offices. Jetcorp will continue to use its existing upholstery and cabinet shop which is located across the street from the new facility. Jetcorp provides a range of services including heavy aircraft maintenance, component repair and overhaul, interior completions and refurbishment and around-the-clock AOG support. The move to new premises comes just over a year after Jetcorp was acquired by Flying Colours Corp, a Canadian-based company specialising in all aspects of completions and maintenance. Friedrichshafen Still One of Europe’s Best GA Shows The 18th edition of the AERO General Aviation Trade Fair in Friedrichshafen, Germany saw just under 40,000 visitors pass through the doors. The show, which ran from 8 to 11 April, had 504 exhibitors, of which 45% came from outside Germany. According to the show’s organisers, 56% of visitors placed orders for aircraft during the show while another 10% indicated they planned to spend €100,000 or more after the trade show. Italian aircraft manufacturer TECNAM, reported the sale of 28 aircraft during M46-AE-08070_BA-GB-4c.indd the event. Online Flight Planning from ARINC Direct—It’s everything you need, just faster and simpler. For more than 80 years, ARINC has delivered solutions that have defined how the aviation industry communicates. Flight planning itself has come a long way. Now ARINC Direct is helping pilots step into a new age with more powerful and flexible capabilities than ever before. Efficient trip times, routes, and fuel information are just a few of the things available at your fingertips through ARINC Direct’s online flight planning services. Air Partner Expands in Turkey and Hong Kong Air Partner, a provider of private aviation services, has expanded its market reach with the opening of new bases in Turkey and Hong Kong. The new bases began trading in January. They will meet the needs of Air Partner’s client base, which continues to grow, despite the recession. Istanbul is the location for Air Partner Turkey’s new office. The office will act as the sales centre for Air Partner’s Commercial Jet Division, which charters aircraft from 20 to 500 seats. It will also handle all air cargo activities, an important and growing market in the region. Today’s economy has introduced an altered playbook – with fresh rules that challenge our thinking, business practices and values. MEBAC 2010 offers a comprehensive 2-day conference program exploring the regional business aviation industry which makes it a unique forum for the exchange of ideas between key players on an international level. Branches: Airframe Manufacturers, Operators, Private Air charter Brokers, Dealers, Distributors, FBOs, Equipment Suppliers, Industry associations, Aviation emergency and security services, IT specialists, helicopter service and support companies, Executive flight infrastructure and support facilitators, VIP handling services and support functions, Aircraft after sales specialists, Catering Suppliers, Regional and GA Airports, MRO Providers, Aviation Financiers, Flight Academies, Air Traffic Control Providers, Governments, Consultancies, Regulatory Bodies and All Conglomerates with their own fleet. Job titles: CEO, COO, CFO, Managing Director, Business Development, Marketing, Sales, Fleet Management, Flight Planning, Flight Operations, Business Jet Services, Operations Director, Flight Safety Manager, Air Navigation Services, Pilot, Attorney, Consultant, Analyst, Flight Catering. The European Business Aviation Association (EBAA) recently launched its Emergency Response Guidance Manual which will help operators to finalise their ERP plans. The decision to create the manual was made following an EBAA survey of its members which found that one-third did not have an ERP and half of those that do have one had never tested or exercised their plans. Under new rules from the International Civil Aviation Organization (ICAO), all operators of business aircraft must prepare a Safety Management System (SMS) by November this year. Each SMS must also include an Emergency Response Plan (ERP) which documents how the operator will respond in the event of an incident or accident. standard valuation methodology to an aircraft’s original cost new). While the number of used medium- and long-range aircraft for sale has dropped to 9.6% of the available fleet, Aircraftpost. com believes this may be because aircraft have been removed from the market, rather than sold. Around 12% of the available aircraft fleet was on the market in the first three months of 2009. The majority of models with availability currently higher than 10% are aircraft manufactured in the 1980s. By the end of March 2010, the absorption rate (months required to sell the current inventory based on existing sales activity) was an average of 30 months. The manual was prepared by EBAA’s ERP Steering Group which included representatives from a number of manufacturers and operators. The National Business Aviation Association (NBAA) were also consulted during the preparation of the manual. EBAA will now conduct a number of training workshops to help operators complete their ERP. The first will be run during EBACE in May. “Operators need to buy the manual before the training sessions,” says Humphries. “The training will cover how to complete the Word template and at the end of the session, each participant will be able to do a desktop test of their ERP.” Although the manual has been prepared by EBAA, it can be used by any business aviation operator in the world who has not yet created their ERP. The manual contains information that is relevant to companies with global operations and those that operate helicopters. It can be ordered from the EBAA website (ebaa.org) and costs €300 for members and €800 for non-members. New GA Terminal Opens in Nice A dedicated general aviation terminal has opened at Nice/Cote d’Azur Airport with three business aviation handlers occupying the new facility. Aviapartner Executive/Signature Flight Support; Landmark Aviation; and Swissport Executive Aviation Nice (a joint venture with Universal Weather and Aviation) officially moved into the new building during April. From midApril, the operational support and flight supervision provider G.ops will assist operators with landing and handling at the airport. “Our clients no longer need to pass through the main terminal building,” says Richard Squires, Deputy Station Manager for Swissport. “That is especially important for our high-profile customers.” Those customers include many heads of state who have homes in the area, as well as celebrities attending the Cannes Film Festival and the Monaco Grand Prix which are held nearby. Previously passengers had to join the throng passing through the main terminal building and, for privacy reasons, many diverted to other airports in the area. attracted more than 12,500 visitors over three days. The organising company, Reed Exhibitions, is planning to expand and reshape the business aviation content of the show at the Hong Kong Business Aviation Centre which is adjacent to AsiaWorld Expo. has operated an FBO at Le Bourget for more than 20 years. Through the agreement, Universal Aviation will be able to make maintenance services available to its customers through Jet Aviation, and Jet Aviation will benefit from Universal Aviation’s operational infrastructure. That infrastructure includes a 3,000 square meter heated hangar, VIP lounge, crew lounge, conference facilities and ramp access. Operators using Jet Aviation’s maintenance services will also benefit from discounts on Universal Aviation’s ground support services. Conklin & de Decker have released the 2010 edition of their Aircraft Cost Evaluator (ACE). The database contains up-to-date information on more than 490 aircraft including both fixed-wing and rotor craft. Users can compare up to three aircraft at the same time and change dozens of variables which enables them to factor in local variables such as costs and salaries. “This benchmarking tool gives owners and operators an easy and impartial way to compare their aircraft operating costs with the industry standard and can assist them with critical decisions on aircraft transactions,” said Bill de Decker, President of Conklin & de Decker. FlyCorporate Survey Results: Which aircraft will actually take off? In our January issue we asked our readers to vote for the aircraft in development that they think will actually make it to the market. A slight majority of FlyCorporate readers voted for the all-composite Learjet 85 as the aircraft most likely to fly in the future. Of the top four aircraft in the survey, three have taken flight for the first time or have been Boeing 787-8 and 787-9 Dreamliner VIP delivered to customers since we opened the voting. Boeingâ&#x20AC;&#x2122;s 787 Dreamliner, which occupies 14.8% second place, had its first flight in December 2009. Another aircraft to make its first flight in late 2009 was the Gulfstream G650. Gulfstream G650 In April Cessna announced that they had delivered the first CJ4 to a customer, complete with the companyâ&#x20AC;&#x2122;s proprietary GreenTrak flight planning software which minimises total trip cost by balancing direct operation, fuel burn and carbon emission costs. And the least likely to fly? According to our readers, that dubious honour goes to the Spectrum Aeronautical S.33 Independence, despite its impressive design credentials. â&#x20AC;&#x153;Can I fly my foreign-registered aircraft between two or more points within Russia?â&#x20AC;? Domestic and foreign operators of business jets flown to Russia are increasingly seeking clarification about whether they may fly their foreignregistered aircraft between points inside Russia. The practice of flying into a country, collecting passengers and then flying onto another destination within that country is known as cabotage. In Russia, along with many other countries in the world, cabotage is generally not permitted. According to some people you speak to in Russia, if you really want to do it, you may if you are willing to assume the risks. The financial penalties that may be involved are generally not talked about, but they are substantial. Bizav in Russia: Some Facts So how big is the Russian business aviation market? During 2009, there	were around 1,300 business jet movements each month at Vnukovo Airport in Moscow. This represents around 68% of all business flights to and from the capital. There are two groups of foreignregistered business jets that regularly fly to Moscow. The first group includes around 400 corporate jets that are owned directly or indirectly by Russian corporations and individuals. The second group of aircraft are foreign-registered business jets that are operated by multinational businesses, charter companies and fractional programmes. These aircraft are generally not flown within Russia so cabotage is not an issue for them. Short-term Options There are a number of ways to fly to multiple destinations within Russia that do not constitute a risk. The simplest of these involves flying a foreign-registered aircraft into Russia with a group of passengers onboard. It is perfectly legal for the aircraft to fly into Moscow, then onto St Petersburg, and then back to the aircraft’s home country as long as no additional passengers are collected along the way. The flight from Moscow to St Petersburg is regarded as part of the aircraft’s roundtrip to and from its home country. Non-commercial flights that are conducted in the interests of the aircraft’s owner are also legal as long as a one-time permit is obtained. However, ownership of the aircraft can become public knowledge. This option should therefore only be used if the aircraft owner does not mind that information being disclosed. Legislative Option The Russian Ministry of Transportation is considering a draft decree that will allow foreign-registered business jets to be used for charter flights within Russia. At a February 2010 conference, two officials from the Ministry announced that it is high priority within the Russian government to create the right tax and customs laws so that many of the foreign-registered, Russian-owned aircraft will be brought back into the country. The Russian government sees this as an important way to create employment and investment in the aviation sector. Until this legislation is passed, there are significant legal risks if a foreign-registered aircraft is utilised for charter service within Russia, even if it has been cleared by Customs. Long-term Options For those who wish to place a foreignregistered aircraft in Russia and operate it there on a long-term basis, there are some options available. For example, a foreign-registered aircraft may be leased to a Russian charter company. That company should be a certified operator of commercial aircraft if the aircraft is going to be used for charter. If the aircraft is not going to be used for charter flights in Russia, it may be placed on the certificate of a Russian certified aviation enterprise in general aviation. However, the aircraft may be subject to customs duties of 20% and VAT payments of 18%. Aircraft weighing up to 20,000 kilograms are exempt from the 20% customs duty. A Gulfstream G450 is within this limit, however, a GV or G550 will exceed it. The VAT payments can be made on a monthly basis over 36 months. New Structures We have also been examining a proposed structure under which a foreignregistered aircraft may be Customs cleared in Russia and operated by a foreign charter company. The structure is essentially a lease of the aircraft from its owner to a Russian limited liability company (known as an OOO in Russia). In this particular case, the OOO would lease the aircraft back to a US-based Part 135 charter company. The aircraft could be flown to Russia and Russian customs would have no objection to the aircraft being flown within the country since it has cleared Customs. VAT would still be payable. Until the government decree mentioned above is passed, domestic flights would still formally be prohibited as cabotage flights. However, permits authorising such flights are regularly obtained here in Russia, each time as an exception from the general prohibition. If and when the pending government decree is approved, then it should be possible and entirely legal to obtain such one-time permits on a regular basis. There are other ways to bring an aircraft into Russia and fly it domestically. For example, you could create or acquire your own Russian aviation enterprise. You can also try to place the aircraft on the certificate of an existing commercial operator. However, these options may involve considerable expense. Whatever option you choose, make sure you obtain the advice of a reputable firm that specialises in the aviation industry. About Capital Legal Services Capital Legal Services is a full-service law firm with offices in Moscow and St Petersburg. The company maintains close relations with aircraft brokers, management companies and legal co-counsel on aviation law matters in Europe and the United States. Derek Bloom has personally overseen around 30 transactions involving the purchase and sale of corporate aircraft. He also practiced aviation law full-time in Washington, DC for one of the leading corporate aviation law firms. down upon by those that were. Business aviation has a real interest in this topic and it is time we mobilised against the ancien rĂŠgime that exists today. We might need some revolutionary thinking. and in these post-Lisbon treaty days, that did not go down well. Tempers flared. Shame-faced, the Commission undertook to consult with the European Parliament on slots in the future. It didnâ&#x20AC;&#x2122;t stop there: airport capacity is going to be an issue for Europe within 20 years, according to the ACI. So, why not provide incentives to the airports so they invest in building more slots? Parliament has now made clear that it wants to be involved in a review of the slot rules. So far so good. But, and here hearts skip a beat across the industry, Parliament wants to link the slots review to their review of the passage of Single European Sky legislation. This is not completely outrageous. The Commission says that airport capacity is a fundamental issue, and air traffic management have slots too, after all. There are powerful economic and competition arguments in support of this. Slots restrict access to popular airports. They make obtaining the necessary slots a significant barrier to entry. If the airport or other slot owner could lease slots to new entrants or to one-off users, the cost of entry would be reduced, or at least converted from a one-off lump-sum payment to regular lease payments. Business aviation might be able to access an airport as needed, recognising the cost of doing so for that one flight. Oh brave new world! If air traffic control slots get linked to take-off and landing slots, we move into entirely new territory. A revolution. Suddenly, we are talking routes, not slots. That matters. But it is not all good news for business aviation. Business aviation does not want to be tied to routes, it wants access to airports on a flexible basis, to meet the demands of its customers. There are other parties interested in this debate, including the ANSP. If slots are recognised as a route element it may be that they can find ways to monetise them. Interestingly, the ANSPs have not yet seen this opportunity. Speaking in Madrid at a session to discuss the way forward for the Single European Sky package, the Airports Council International (ACI) and the slot coordinators were clear. To maximise the use of the airways, the airport and the air need to be linked. And we need a way to make this seamless. If the French Revolution taught us anything, it is that after a revolution, there is likely to be a period of complete chaos and terror. In that period it will be every man for himself. But, forewarned is forearmed. Business aviation needs to be thinking about this now, and we need to be ready to react. Funnily enough, they suggested slots. Slots can be used dynamically, on an hourly basis, to regulate (and therefore optimise) capacity at an airport. This would also reward the nimble and flexible, like business aviation. Aircraft are practical things. Like cars, they are designed to get us from point A to point B in the least amount of time and with the least amount of fuss. Simple really. If youâ&#x20AC;&#x2122;ve taken any North American commercial flight recently, you will see how the scheduled airlines are distilling this philosophy down to a fine art. However, travel on a private aircraft and you will notice an immediate difference. Someone, somewhere has spent a lot of time thinking about how you will use the space on your journey and how, through appropriate and intelligent design, they can make that journey more comfortable for you. Choice of Fit-out For the uninitiated, most new aircraft are delivered “green” (the expression is inspired by the colour of the fuselage before it is painted and not the environmental credentials of the jet.) The interior is empty except for the wiring and basic equipment needed to get the aircraft into the air and to the completion centre where the final fit-out takes place. The first owner of an aircraft usually gets to choose its interior. However, some manufacturers offer clients a choice of fit-outs that have been pre-designed by an expert aviation-design consultancy. Embraer’s new Legacy 450 and 500 jets come complete with interiors designed by BMW Group DesignworksUSA. “The task for our design partner was to provide the best possible comfort for the pilot, fulfill all the requirements of a modern business passenger, combine premium aesthetics with superior design quality and, by doing so, set a new benchmark in this business jet segment,” said Colin Steven, Embraer’s Vice President Marketing & Sales EMEA, Executive Jets. Dassault and DesignworksUSA also worked together on designs for the 7X which was recognised with a 2009 Good Design Award from the European Centre for Architecture Art Design and the Chicago Athenaeum. Rotorcraft Comfort The company has also designed interiors for helicopters, a process Rey describes as being completely unlike designing aircraft interiors: “It’s a different approach as there are other issues to consider such as noise and flight time. Rotor flights are typically 30 to 90 minutes so passengers don’t necessarily need refreshments, DVDs or other cabin comforts that have become standard in fixed-wing aircraft. Vibrations are a major concern for helicopter designers as they affect both the reliability of the aircraft and the comfort of its passengers. The research and development team at Eurocopter have been studying this problem for some time and have already implemented	a five-blade main rotor on the company’s EC155 and EC255 models which have reduced vibrations significantly. Eurocopter has also developed an advanced anti-vibration system known as the Grand-Comfort Pylon Isolator. Effectively the system filters the loads transmitted via the struts that connect the main gearbox to the airframe. Following around 25 hours of inflight tests, Eurocopter reported that the modification has cut vibrations in the cabin by half. Jim Dixon, Director of Aviation at Andrew Winch Designs agrees: “One of the key factors to our designs is the need to create a continuation of the client’s lifestyle in the air. Passengers should be able to continue with the least interruption possible when going from A to B.” To achieve this, Andrew Winch Designs develops a bespoke solution for each aircraft that is specific to the requirements of the client. Although the avionics on an aircraft typically offer the latest in technology, cabin entertainment systems do lag behind what is available for your home or office. “Aviation regulators place heavy restrictions on customer-facing technology due to the tight certification requirements,” says Dixon. “It takes between six and eight months to complete a green aircraft,” says Gillespie. “In this time, the available technology can change.” So can clients ‘future-proof’ their aircraft? It is difficult says Gillespie: “However, systems such as LED lighting are ideal as they require zero maintenance during their life. I am quoting for LED on all new projects. It has become almost standard.” At Andrew Winch Designs, the focus is on ensuring components can be swapped-out if necessary. “We ensure that equipment, fixtures and fittings are able to be easily replaced and upgraded, increasing asset value in the long term,” says Dixon. Going the Extra Step Comlux, which operates its own charter fleet, has recently equipped	its jets with beauty products from Molton Brown of London to help make people feel at home onboard. The role has evolved over the past two years and now the Inflight Products and Services Manager looks after all the cabin accessories used onboard including linen, towels, beauty products and even the eye masks which are branded with the Comlux angel logo. “It has been very beneficial to have this person during the downturn,” says Cosma. “He has taken control of all the small things and saved us money in the process.” Comlux still purchases special items for regular clients and aircraft owners who express a preference. “It’s an extra service on top,” says Cosma. The Manager has also arranged training for the Comlux flight crews at a top hotel training school in Lausanne. “They learn how to present a meal, select the wine, and generally act as the butler onboard,” says Cosma. Next Big Thing Cabins are set to become much more comfortable in the years to come as technologies and emerging materials mature. “We predict the next big thing will be the type of materials used in the interior of an aircraft,” says Dixon. “More dynamic materials will be incorporated, such as composites.” Andrew Winch Designs are also working on making flights an unforgettable experience for passengers. “By incorporating exterior cameras, passengers are able to sit in the comfort of their armchair yet have a bird’s eye view. Installing cameras at the back of the cockpit allows them to experience flying through the eyes of the pilot.” Whatever the future holds, travelling by private jet is set to become far more comfortable and exciting. Who knows, you may come to find the cabin more relaxing than home or the office. The latest changes to International Civil Aviation Organization (ICAO) standards require operators of complex, motor-powered aircraft to implement a Safety Management System (SMS). These plans need to be in place by November of this year, so numerous seminars, toolkits, and consultants have been assembled to rescue the unprepared operator at the last minute. However, there is no substitute for experience and, at the end of the earth, a select group of aviators have been putting SMS theory into practice for a long time. freezing temperatures, flying for hours without autopilot (sometimes at very low level), constant daylight, glare, and the necessity of working in bulky protective clothing. High Risk Operation When BAS applied for IS-BAO registration last year it looked like a daunting prospect for the auditor. Compared to the average corporate enterprise, there is no doubt that this operation is high risk. However, the audit proved much easier than expected. The most important reason for this was that the BAS air unit has had a SMS since 1998, a year after it was introduced to the marine unit. The latter operates two research vessels with their own problems of navigating through pack ice and stormy seas. To come across such a long-established system in general aviation was most unusual, and ultimately very helpful. Although the IS-BAO system may be mature, safety management systems in most areas of general aviation are in their infancy. During my audits I have found that many organisations absorb the theory and then wonder how to put it into practice. They resemble conscientious parents who have read all the manuals but still have difficulty controlling their children. Pilots, trained to operate safely all their working lives, tend to regard SMS as yet more bureaucracy. Everyone needs to be convinced. As IS-BAO audits are entirely confidential, I am grateful to the BAS for allowing me to describe some of the techniques they used to implement their SMS. Interestingly, the chief pilot is convinced that the system has enabled them to cope safely with more risks rather than less. They have a wider selection of risks than most to consider. Potential Hazards Having appointed a safety officer to oversee the system, the next task is to decide which areas to investigate for actual and potential hazards. The well known SHELL model (Software/ Hardware/Environment/Liveware) provides the basis for hazard identification. Maintenance, general Antarctic flying operations, controlled flights into terrain (CFIT), fatigue factors, and PNR flights, are among the many areas analysed. Each area is assigned to a qualified person with a second person delegated to review the completed risk assessments. The risk factor is based on past incident reports (reactive) together with pro-active projections. Here the long experience of BAS comes into its own. The policy of involving so many staff as either assessors or reviewers builds a very comprehensive system. Crucially, the more people that get involved, the more they tend to buy in to the programme. Managing Identified Hazards The hostile Antarctic environment has led to over 100 hazards being identified and then mitigated. Routine though some of these activities might appear, they can be rather more dangerous at minus 40°C. Picking up a spanner with your bare hands is not advised. To illustrate, let us take the example of test flying. These flights normally arise as a result of installing scientific equipment in or on the aircraft. Using the same numbering as the questions, the responses are: 1. Test flight problems. 2. Loss of aircraft, injury. 3. Chief Pilot approves all test flights/ Pilot suitably experienced/Essential crew only/Modified checklist to account for “foreseeable situations”/ VFR and within 30 nautical miles of aerodrome/Height restrictions in Ops Manual. 1. What are the hazards? 4. Likelihood - LOW. Severity - HIGH. Risk assessed - LOW. 2. What will be the outcome if the hazards are not controlled? 3. What are the present control measures in place? 4. What are the risk ratings for each hazard (likelihood multiplied by severity)? 5. Are any further actions necessary? 6. If actions are required, who will carry them out and by when? 5. No further action necessary. 6. Not applicable. Instead of cluttering up the polar region with paper, all these risk assessments are available on the BAS website, suitably password protected. This has to be the most efficient way of disseminating information and making sure it is kept up to date. What did we do before the Internet? During the Antarctic season the pilots spend long periods living together on site, so face-to-face communication is easy. However, that is not allowed to get in the way of good record keeping, whether manual or electronic. It is the responsibility of the safety officer to ensure this. Finally, an annual review meeting is held at Cambridge, UK each summer, which all pilots and ground staff, including the base managers, are expected to attend. Having observed one of these gatherings myself, it was clear that this was a valuable, interesting and absorbing occasion. Further insights were given in one of Cambridge’s traditional pubs later that evening. Mitigating Distress Emergency Response Plans have been highlighted as a weak area in many company SMSs. Like wills, it is too late to draft them once the subject has died. Their purpose is to mitigate the inevitable distress and anxiety following news of an accident, while at the same time cooperating with authorities and the media so that damage to the organisation is limited. The BAS has two tiers of ERP. These are the Local Response Team in Antarctica, and the Incident Response Team, based in Cambridge. As mentioned earlier, search and rescue in the Antarctic is based largely on self-help. So whereas corporate operators would normally expect SAR to be taken over by the State, this is not an option for the BAS. It is the responsibility of the Local Response Team. Headed by the Chief Pilot, this team can be mobilised immediately after an incident occurs. Preparedness includes a doctor at major bases, an air-portable survival pack with skidoos and medical equipment ready to go, crevassing equipment, and aircraft to transport these. In effect this is a major extension of the normal ERP requirement to send a representative to the incident location. The arrangements at Cambridge follow a more familiar pattern of ERP for a large organisation. Specific managers have defined roles in the incident response team. A professional public relations department is available to deal with the media. Next of kin are mostly in the UK and the human resources manager maintains the necessary database. Being a government department, the plan follows all guidelines for best practice in health and safety. Sub-contracting ERP Functions It is interesting to contrast an ERP designed for a large organisation with what is possible for a small one. One of my clients operates a BBJ worldwide with a flight department consisting of the Captain and his First Officer. In the event of an accident they would certainly not be organising the search and rescue! So in this case the ERP cannot be supported by two in-house teams as with the BAS. But the fundamental requirements are the same, mitigating distress and limiting further damage. The only solution is to sub-contract these functions to organisations willing and capable to undertake them. The model adopted by the BBJ crew is to use their flight follower (Universal Aviation) as the first information source, their independent maintenance assessor as the link with next of kin, the maintenance contractor to send a representative to the incident site, and the family lawyer as the media contact. As long as the plan is laid out, and, most importantly, tested at regular intervals, it can function without extra staff. What is vital is that everyone in the chain understands what they have to do, who they have to contact and when, and where to find the information. A medium-size company will have more in-house resources than the BBJ crew and would probably adopt a halfway position between sub-contracting every ERP function and complete do-ityourself capability. For example, many companies might not need a public relations department so they could use the company lawyer for media contact. However, it would be a very small company indeed that did not have some form of human resources cover. It is not the purpose of this article to detail the mechanics of individual ERPs, but it does show that each plan needs to be custom made. One size does not fit all. Having been an IBAC accredited auditor for some seven years, the experience has enabled me to learn something from each client. There is no doubt that the BAS has the most demanding safety management challenge that I have come across so far. The fact that they have been operating for over 40 years and have had a SMS in place for over 12 is impressive in itself. Their analysis of over 100 hazards and the manner in which these are mitigated is even more so. One could hardly imagine a better laboratory for evaluating the effectiveness of a formal Safety Management System. Thanks to an open and inclusive safety culture, the results of the experiment are freely available. But the most important result has to be the excellent BAS safety record, and that speaks for itself. Bernard the virtues of thinking for himself and achieving focussed objectives. Although he did not excel academically, the young Magrez was raised in the famed Bordeaux wine basin. So it was not surprising that the first job he held was working for a wine merchant. However, his sights were already set on creating his own empire. New Millennium, New Plan The move into running his own business came in 1964 when Magrez acquired a small port wine distribution company. For the next forty years he grew the company, now named William Pitters, into a major group which expanded from importing port into developing a wide range of spirits brands. These included gin and whisky under the William Peel name and San José tequila. Of course, it was unlikely that Magrez would ignore the traditional wine industry of his domicile, so he also developed the successful Sidi Brahim and Malesan wine ranges. However, this restless drinks mogul entered the new millennium with serious thoughts about the future of his considerable empire. Consequently, his first move, in 2003, was to sell off the two wine brands to the Bordeaux firm, Groupe Castel, who were well known for their Bordeaux Blaissac, Montalcour and Jean Valstrel marques. This was followed, in 2005, by the sale of the William Peel company to Marie Brizard whose brands include Anisette Marie Brizard, Cognac Gautier and Tomintoul single malt whisky. You might think that this would leave Bernard Magrez with little to do. But the business sales and his other wine assets had provided a base for the energetic Frenchman’s grand design. His holdings already included the Grand Cru château of Fombrauge in SaintEmilion, La Tour Carnet in the Médoc and the Graves Cru Classé domaine of Château Pape-Clément. To these prize locations, Magrez started to add new vineyards which enable him to produce very high quality wines (his crus d’exception) in a modern style for the contemporary market. For many of the traditionalists, Magrez’s “formule” was a betrayal of the whole concept of fine wine production. It seemed to abandon the subtle positioning of vineyards, quality of soil and climate needed for the best quality grapes embodied in the concept of “terroir.” In fact, this criticism is largely unfounded because Magrez has concentrated on purchasing small growing estates, carefully selected to ensure the very best harvest. The wine quality is maximised through labour-intensive hand picking and stripping of the grapes and by the use of new oak barrels. of the very finest wines. Magrez has well understood that France’s historically dominant image has been overtaken by developments around the world. He knows his clientele is not only international but also has a keen appreciation of the variety of wine available in the worldwide arena. There is a strong core of wine drinkers who have built up a sophisticated understanding of excellent products from many other countries and are able to pay suitably high prices for top quality wines. Such a strategy has many dangers, however, and the key to success is maintaining the high quality brand image of Vignobles Bernard Magrez across many individual marques. With his photograph and signature on every bottle, Bernard Magrez does not tolerate any slippage in the product’s reputation. The acquisitions made by Vignobles Bernard Magrez now stretch to 35 vineyards. While the heart of the business remains in France, his European interests extend to Spain, Portugal and even England. Outside Europe he has vineyards in Argentina, Chile and Uruguay in South America, and in California and Morocco. The company has even ventured to Japan where it purchased a five-hectare vineyard on the side of Mount Fuji and has its sights set on new estates in Australia, Italy and the Balkans. Bernard Magrez also manages seven vineyards on behalf of his close friend, the famous actor and restaurateur Gérard Depardieu. Producing outstanding wines is all very well, but the effort would be fruitless without an imaginative use of technology and strong brand marketing. Magrez does not produce mass-market table wine. However, he does understand the habit of wine drinking leads to an appreciation of wine quality, the starting point for his client base. Magrez also knows that the wine amateurs who become his clients experience a maturing of their tastes. He also acknowledges that tastes have changed in recent years. “At one time,” he says, “one was faithful to two or three wines which became habitual favourites, but today one strives to discover new wine styles.” Not surprisingly, he avidly researches his market, spending large sums on understanding his consumers and analysing trends. He also understands that his high-spending customers are accustomed to being pampered. This is where business aviation takes its place as a vital tool in the marketing mix. Magrez acquired a pre-owned Falcon 50 from Dassault – the 16th example off the production line and originally delivered in 1979 to a German owner. Dassault’s Falcon 50 has been a very successful product and 352 were built following its certification in March 1979. It essentially has the same cabin as its predecessor, the legacy twin-jet Falcon 20. But, with three Garrett TFE 731-3-1C turbofans, it has better overall performance, with a high-speed cruising performance of Mach .82, and a 3,650 nautical mile (6,760 km) range, enabling it to go significantly further than the Falcon 20. While Magrez mainly uses the aircraft for European travel, it has also been to Canada and provides easy access to North Africa. In the 1970s, with the rapid addition of new locations around Europe, Magrez found himself increasingly chartering business aircraft. It was the only practical way of using his time effectively while developing his large drinks empire. In the early years, using a Bordeaux-based air taxi company was a satisfactory solution and Magrez found himself travelling Europe in a Cessna Citation. With the restructuring of his business in the new millennium, travel demands grew and much time was devoted to viewing new land possibilities and completing deals for additional wine estates. The development of his brand meant product launches, wine tastings and meetings across the continent. By 2005, his travel needs had reached the point where a company aircraft was not only justified but had become a necessity. with four facing club chairs and a rear lounge area with a semi-circular fourplace divan, another rear-facing seat and a folding conference/dining table. This cabin also doubles as a sleeping area for long flights and offers an ideal and relaxing environment to serve high quality wines to discerning customers. In front of the forward cabin and opposite the main entry door is a restroom. The aircraft also has storage for refreshments and equipment. One of the important assets of the Falcon 50 is the large 3.3 cubic metre (116 cubic feet) pressurised baggage compartment in the rear fuselage which can be accessed externally through a hatch beneath the port engine. BizAv in Europe: Regaining Pace High fuel prices, limping economies and a plethora of European Commission (EC) directives aside, does business aviation have a future in the Eurozone? Sanjay Rampal believes corporate flying in Europe will always be in vogue. Business aviation had a bumper year in 2008. The sector blossomed, but rosy forecasts at the time never factored in the unanticipated financial meltdown a few months later. The ensuing recession dogged commercial aviation throughout 2009, forcing more than a few carriers to a screeching halt. Their smaller corporate cousins fared no better, feeling the pressures of reduced demand and the perceived extravagance of private jet flying. Rationalisation and cost cutting appeared to be the only options for survival. The common theme emerging from EBACE 2009 was eggshell-treading optimism that 2010 would herald the passing of the stifling economic gloom. 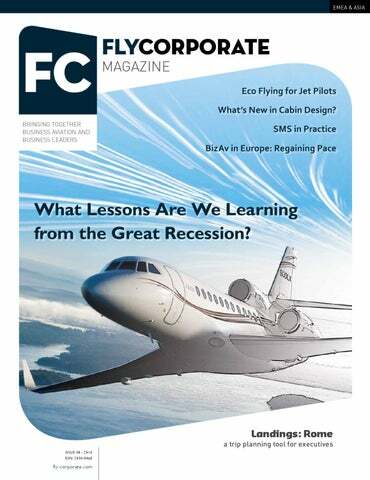 Typically business aviation lags behind economic growth, so the predicted reversal of fortunes lifting corporate wings could well happen by the last quarter of 2010. But the mature European business aviation market, still very much in the clutches of an unprecedented slump, has changed irrevocably. The impact of emerging economies, emissions legislation, taxes and tighter regulations means the turnaround may be slower than anticipated. Bright Future Manufacturers and operators alike agree that, despite the current recession and volcanic disruption, European aviation has a bright future. Business aviation is an essential tool for commerce and in many countries, the sector has overtaken legacy industries such as coal mining and shipbuilding. Eurocontrol statistics, based upon private fleet movements, suggest that business aviation is concentrated in six European countries. France, the UK and Germany are the dominant three followed by Italy, Switzerland and Spain. The accession of Bulgaria and Romania to the union in 2007, coming on top of the addition of ten new members in 2004, is continuing to rejuvenate the market potential for continental bizjet traffic. New member countries such as Malta have recognised the lucrative aspects of registering foreign-owned jets and the favourable returns from maintenance and ground handling support. Malta has attracted a lot of business from the banking sector through tax incentives, and the government is on the verge of creating a new aircraft register geared towards corporate aviation. Although outside the European Union, the commercial might of oil- and gasrich Russia will bolster the prospects for executive jet operations in Europe. European Commitment With a fleet of 530 bizjets currently operating in Europe, Bombardier Aerospace has enjoyed much success in the region. The company is unequivocal about the postrecessionary resilience of the European business aviation market. The New Business Frontier Echoing the same optimism, Swissheadquartered charter operator VistaJet reports an excellent performance during 2009. “We bucked the trend, being in the right place at the right time with a good business model that enabled us to increase passenger revenues by 20%,” said Thomas Flohr, Founder and CEO. He noted that the company’s proactive sales team had been instrumental in achieving a strong market presence in a challenging business environment. However, it was the scalable business model which encompasses a flexible service ethos that set VistaJet apart from its competition. Packaged with brandnew Bombardier jets and simple threepage agreements devoid of additional charges, the service was destined to take off. “We’re simple to do business with,” said Flohr. “Our solutions are tailored to the customer’s requirements, be it purchasing a jet for us to manage or buying flight time hours on a specific plane.” Flohr acknowledged the contraction of the corporate segment but suggested that a service-level based on competitive pricing, reliability and safety would be a winning formula. The resurgence of sales in Europe has prompted air-charter broker Oxygen 4 to open an aircraft sales and management division. The UK-based company has also secured an exclusive agreement to sell the Phoenix CRJ to Russia. “We have identified the need to supply additional services to our clients,” said Director Mark Green. Emerging Bloc Associations The 2004 and 2007 expansions of the European Union to encompass Eastern Europe have already opened up new opportunities for European operators. Possible future expansion into the Balkan states is likely to open up even more markets. Established in November 2009 in Prague, the Central European Private Aviation Association (CEPA) aims to develop business aviation trade links beyond the boundaries of the Czech Republic and surrounding countries. “There is this invisible border between the private aviation industries in Western and Eastern Europe, for many reasons,” explained Dagmar Grossmann, Chairman and Founder of CEPA, and CEO of Grossmann Jet Services.” For example, if a Bulgarian company wants to purchase jets with financing from a German bank and insurance from a French insurance company, several barriers may deter them. CEPA is going to make these connections happen.” At the time of writing CEPA was about to hold its first conference, bringing together business leaders, government representatives and keynote speakers from the aviation industry. The aim is to ease access to the wider continental and international markets for companies established in Eastern Europe. Emissions Trading The European Emissions Trading Scheme (ETS), due to get into full swing by 2012, is ruffling the feathers of small and large operators alike. The British Business General Aviation Association (BBGA) reports that as of February 2010, 38% of UK-based operators remain unregistered with the ETS. That is concerning as 2010 and 2011 will provide benchmark data for operators. “The big message to get across is that the cost of the actual carbon permits is not in question here,” said Guy Lachlan, CEO of the BBGA. “The issue is the additional overheads, bureaucracy and tight reporting regulations that unfairly impact smaller operators who emit very little.” This is a sentiment shared by the European Business Aviation Association (EBAA), which predicts administrative chaos if the ETS monitoring, reporting and verification procedures are not simplified prior to 2012. One of the solutions proposed for smaller operators is the flexibility of using the Eurocontrol ETS Support Facility system to verify their reported carbon outputs. This enables smaller fleet operators, who account for just a fraction of the 0.04% of total business aviation emissions, to participate in ETS without incurring the same administrative overheads as larger commercial airlines. Bombardier has proactively stepped in to guide and support its customer base through the complexities of ETS registration. The manufacturer is also investigating whether verified emission reduction (VER) credits from its voluntary Carbon Offset Program will be officially recognised by the EU as ETS-compliant. Approved customers earning such credits could conceivably use them as allowances to offset some of their ETS obligations. Malta: Europe’s Bizjet Hotspot The sun-kissed island of Malta wants to attract more than just tourists and scheduled passenger flights. The country is enticing the European business aviation community through its low taxation measures, double taxation treaties with more than 34 countries and a soonto-be-legislated aircraft registry which will permit the registration of foreign-owned private and business jets. There is the added lure of obtaining a JAA/EASA approved Air Operator’s Certificate (AOC) without cumbersome administrative procedures to worry about. The fledgling industry has received both direct investment and support from the government. New initiatives include a school for training local aircraft technicians and the rationalisation of local transport authorities as a precursor to the legal framework of the aircraft register. According to Bugeja, the Maltese parliament was due to enact the Aircraft Registration Act by the end of March. for mortgages issued to business jets registered in Malta. It also means that because of the security protocols and greater legal transparency, those registered will benefit from cheaper financing deals,” added Bugeja. Sunshine State Companies such as Comlux, Carre Aviation and Orion Malta were quick to set up operations through Maltese operating licenses. Being the first has its advantages and their presence has attracted Lufthansa Technik, Maintenance Service Munich and aviation consultancy BizAv Services to set-up shop. MBAA was founded on 23 October 2009 by DC Aviation, BizAv Services and FFF Legal and enthusiastically promotes the islands as a dependable base for international business aviation. “We’re an EU ratified member, safe and secure offering lower landing fees and charges using airports that operate all year round. We are the new sunshine state of Europe for business aviation,” concluded Bugeja. There is an abundance of optimistic forecasts for 2010 and beyond. A good portion of this seems to be speculative and tied to issues other than market fundamentals. But how do economic downturns affect aircraft pricing and sales? In 1995, the US economy was coming out of a recession and the dot-com era was underway. The market price and market value of business jets were very similar from 1990 to 1995, indicating a rational market balance. As the recession subsided, a combination of rising stock prices, low interest rates and an abundance of venture capital created such speculation and exuberance that companies dismissed standard business models, focusing instead on increasing market share. From 2003 to 2007, economic growth was primarily fuelled by the credit and housing bubbles, both of which turned out to be as illusory as the dotcom bubble that went before. Credit expansion creates wealth and growth, but at the end of the cycle it creates a bust. Subsequent to the crash of the NASDAQ in March 2000, Gulfstream V market prices remained at a depressed level until 2003. They continued following the financial markets to an all time high, only to collapse again in 2009. Depreciating Assets From 1995 to 2000, business jets were selling at unprecedented premiums. A 1992 Gulfstream IV that sold new for $22 M, resold seven years later for $22.8 M, 30% above its market value. Could these inflated market prices be sustained when compared to the consistent depreciation in market values and volatile markets? Buyers were losing sight of a key fundamental; aircraft are depreciating assets. In March 2000, the economy entered a recession when the dot-com bubble burst and the NASDAQ crashed. This ended the longest economic expansion on record. The dot-com bubble was not the sole impetus for the recession. After September 2001, the Dow had its worse loss ever. WorldCom was the largest bankruptcy filing in US history and Enron filed in December 2001, taking down Arthur Anderson as well. From 2000 to 2003 market prices for business jets declined an average of 30% from their height three years earlier. Bizjet prices almost paralleled the decline and subsequent rise of the Dow Jones Industrial Average until 2007. Typically after a collapse, a natural rebound occurs. However, this recession is not like others. Recovery is tied more to the problems in the structure of the economy, rather than the ups and downs of a business cycle. further, before starting a recovery in 2011. What impetus will drive the resurgence in sales? In some areas of the world (such as China) restrictions have been lifted on the use and sale of aircraft, and banks have increased lending. But, how many aircraft can these countries support in the next one to five years? Recessions are tough, but we can use them to glean lessons and transform the way we do business. We keep hearing that the “Great Recession” is over, which is difficult to comprehend. The US government’s official measure of worker under-utilisation more than doubled in this recession’s first two years, to +17%. In other words, one in six people in the workforce are unemployed or working part-time. This excludes the overqualified who work one or two jobs at half what they earned before they were fired. The US lost over 8.4 million jobs (and climbing) between December 2007 and March 2009. It is difficult to comprehend a recovery with so many jobs lost. Aggressive Marketing The credit and house price explosion led to a building boom and then to a surplus of unsold homes in the US. Easy credit, aggressive marketing from lenders and the belief that prices would continue to appreciate, encouraged borrowers to obtain adjustable rate mortgages. However, once the rate changed and monthly payments were reset, refinancing became difficult because house prices had declined and the value of the home was less than the mortgage. This resulted in high foreclosure rates. The key factors were lack of equity and speculation. Now, more than four million existing homes are for sale, of which almost three million are vacant. We are about midway through the end of the sub-prime mortgage rate resets and approaching the second wave of resets. For Option Adjustable Rate (OAR) loans, rate resets will begin in the second quarter of 2010 and will continue until around October 2011. They could be larger than the sub-primes. The last time we went through such a reset we were at the top of the real estate bubble. The result of the OAR reset could see up to nine million more homes enter foreclosure between 2009 and 2011, at an average cost of $50,000 per foreclosure. The International Monetary Fund (IMF) estimates that the cumulative losses of banks and other financial institutions could exceed $4 trillion globally. the loss of so many jobs. Of critical importance is the need to focus on technology and manufacturing in the US rather than a service or consumptionbased economy. What is the next economic impetus? The giddiness of the recovering stock market makes it easy to overlook questions about the cause for its 70% increase since March. Was it a function of the zero interest loans to the banks? If the commercial real estate market crashes because banks are not properly recognising their losses, hundreds of regional and Wall Street banks, could fail. That may trigger a long-awaited correction in the Dow, creating more job losses and an even deeper recession in the worldâ&#x20AC;&#x2122;s largest economy. Corporations are sitting on a lot of money. However, until the scepticism recedes about the end of the recession, capital spending will be dormant. Some companies are using mergers and acquisitions as a primary means of growth because assets are relatively cheap. Does this stimulate or eliminate job growth? In 2005, the median down payment for home buyers was 2%, with 43% making no down payment at all (China has a 20% down payment requirement). By 2006, business jet sales were on the rise, with the market price far exceeding market value once again. And similar to the real estate market, lenders were financing business jets for nearly 100% of the selling price, with little regard for market value. For example, a 2003 G550 that sold new	for $41 M resold in 2007 for $52 M, a	near 30% premium. By comparison, a 2003 year model sold in 2009 for $33 M. Consider the number of sales that were financed at market price and the number that had to resell for economic reasons in depressed marketsâ&#x20AC;Ś Is there a corollation between the real estate and business jet markets? jets are depreciating assets, not commodities, and typically have a useful life of 30 years. From a very simplistic viewpoint, if we were to focus more on market values when buying, selling, lending or upgrading, we could perhaps be on more stable footing during the economic swings. World Leader It all started in 2001 when Embraer, a manufacturer of 70- to 120-seat regional jets, launched the Legacy, its first dedicated business aircraft. The Legacy was subsequently relabelled the Legacy 600, starting what was to become a new family of aircraft in Embraer’s growing range of models. In 2005, Embraer announced its aim to become a leader in its segments of the world’s business aviation market within ten years. Today, Embraer’s corporate offering already boasts five business aircraft including the compact Phenom 100 entry level jet, the larger Phenom 300 light jet, the super mid-size Legacy 600, its longer-range stretched version – the Legacy 650, and the ultra-large Lineage 1000 corporate jet. Joining the offering over the next few years will be the state-of-the-art mid-light Legacy 450 and mid- size Legacy 500 executive jets. “a good number of firm orders with non-refundable deposits” had been taken and there had been no cancellations. However, they would not give more precise details on the exact number of orders. Comfort, Style and Safety The 450 and 500 share the same basic fuselage and some important features. Their interiors were designed in partnership with BMW Group DesignworksUSA. The concepts promise unequalled comfort and style. Both aircraft will have a 1.82 m (6 foot) flat floor stand-up cabin, the largest in their categories. They will also be the quietest in their classes. Both jets have an exceptional baggage compartment volume. While the Legacy 450 offers a fully equipped refreshment centre, the bigger Legacy 500 includes a fully equipped wet galley. Excellent pressurisation and vacuum lavatories are other highlights of the Legacy 450 and Legacy 500, complementing its superior performance and low operating cost targets. When they enter service, passengers will experience the comfort, safety and performance advantages of the technology widely present in modern airliners and in a few high-end, ultralong-range business aircraft (such as Dassault’s Falcon 7X and the developing Gulfstream G650, both at prices above US$40 M). The Legacy 500 and 450 are priced at US$18.4 M and US$15.25 M respectively, at January 2008 economic conditions, with FAA certification. Brazilian and European certification could change the price slightly if any special modifications are required. First Flights The first of the aircraft to be produced, the longer range Legacy 500, is expected to fly in 2011 and receive certification in 2012. It is being designed to carry up to nine passengers. Range is expected to be 3,000 nautical miles (5,560 km) with four passengers, or 2,800 nautical miles (5,190 km) with eight while flying at the maximum cruise speed of Mach .8. These characteristics will allow customers to fly nonstop from Gander (Canada) to Paris (France), Paris to Riyadh (Saudi Arabia), and Moscow (Russia) to New Delhi (India). In the US, the 500 will be able to fly from Miami to Seattle, New York to Los Angeles, or Los Angeles to Honolulu without a stop. The Legacy 450, scheduled to make its first flight in 2012 with deliveries starting a year later, has a projected range of 2,300 nautical miles (4,260 km) with four passengers, or 2,200 nautical miles (4,070 km) with eight, including NBAA IFR reserves. These characteristics will allow customers to fly nonstop from Moscow (Russia) to Madrid (Spain) or Riyadh (Saudi Arabia), from Rio de Janeiro (Brazil) to Bariloche (Argentina) or from Atlanta (USA) to Seattle. Full Fly-by-wire Embraer’s experience goes back to the 1980s, with the development of the AMX military aircraft, which had flyby-wire rudder and spoilers. In the late 1990s, the E-Jets (Embraer´s 70- to 120seat regional jets) went a step further with fly-by-wire elevators, rudders and spoilers together with conventional ailerons. Controls were digital in pitch (elevator) and yaw (rudder) axis. In the roll axis, spoilers were digital but ailerons were conventional. The Legacy 450 and Legacy 500 jets are the first full fly-by-wire Embraer jets. In layman’s terms, this means the highspeed computers and side-stick control will enable a smoother flight, offering pilots optimised performance, greater control, reduced workload and flight envelope protection. For the passengers this will result in a smoother flight and increased comfort, especially in turbulent conditions. The closed loop control delivers more effective reaction than conventional autopilot systems, reducing aircraft oscillations in turbulence and enhancing the passenger experience. Claudio Camelier, Embraer’s Vice President Market Intelligence, Executive Jets, told FlyCorporate that first parts manufacturing for both models in the joint US$700 M programme was already underway. More than 500 engineers are engaged in the design process that will soon enter the revision phase. improved efficiency in terms of fuel consumption, facilitated maintenance, operating costs, and reduced noise and pollution emissions, thus lessening their environmental impact. The Rockwell Collins Pro Line Fusion avionics suite will provide extensive situational awareness with a highly intuitive interface. The flight deck has four 38 cm (15.1 inch) high-resolution smart displays in a “T” configuration with advanced graphical capabilities. Standard flight deck features include systems such as Synthetic Vision, Integrated Flight Information and full-flight regimen auto-throttles. Optional Enhanced Vision (EVS) and Head-up Guidance Systems (HGS) will be offered. Man-Machine Interface Embraer emphasises that the Legacy 450 and 500 will set a new paradigm in their respective categories. As the first parts were being produced for the jets in the second half of 2009, Embraer organised a second Man-Machine Interface Advisory Board meeting to evaluate the aircrafts’ features and present the enhancements that were implemented from suggestions made at an initial meeting in 2008. Listening to clients is: “a commitment we have kept from day one that enables Embraer to design products that respond to market needs,” said Camelier. The two-day meeting at Embraer’s headquarters in São José do Campos, Brazil included aircraft owners and seasoned pilots from various parts of the world. The meeting evaluated the man-machine interface and contributed suggestions for a series of features in the new aircraft. All part of Embraer’s commitment to design aircraft that comply with market demands. Coming to America A guide for non-US citizens who wish to register a US aircraft. Whether you are thinking of purchasing a Boeing 787-Dreamliner for your company, or you are an individual who just wants to acquire a 1966 Piper Cherokee for your collection, the rules are the same. An aircraft cannot be based in the United States unless it is registered there. Regardless of how one intends to operate their aircraft, Regulation 49 U.S.C. ยง 44102 creates some stringent limitations on foreign ownership of USregistered aircraft. For those of us who assist foreign clients in the acquisition of US-registered aircraft, statutory and regulatory compliance is an indepth process. This article provides an overview of the steps you must follow in such an endeavour. Regulation 49 USC ยง 44102 states that an aircraft may only be registered when it is based and primarily used in the United States and is owned by: -	A citizen of the United States; -	An individual who is a citizen of a foreign country but who is legally a permanent resident in the United States (known as a Resident Alien); or -	A corporation that is not a citizen of the United States but which is organised and doing business under the laws of the United States or a State of the US. What is a US Citizen? Federal Aviation Regulation (FAR) 47.2 defines a US Citizen as: 1. An individual who is a citizen of the United States or one of its possessions. 2. A partnership where each member of the partnership is a citizen. 3. A corporation or association created or organised under the laws of the United States or of any State, Territory, or possession of the United States. The president of the organisation and at least two-thirds of the board of directors and other managing officers must be citizens, and at least 75% of the voting interest must be owned or controlled by persons who are citizens of the United States or of one of its possessions. If your aircraft is going to be purchased by a non-citizen corporation, it may meet the criteria for US registration under FAR 47.9, provided the company is qualified to do business in one or more States and the aircraft will be based and primarily used in the United States. However, if your business structure is unique it may not qualify. Thankfully, the statutory definitions of US Citizen refer to both corporations and associations that are properly created or organised under the laws of the US or any State. This means that the regulation applies to business entities other than corporations. For example, a limited liability company is treated as an unincorporated association. Unincorporated associations must pass a citizenship test similar to corporations, but it is modified depending on the requirements of the State in which it is registered. For the purposes of registration, an aircraft is based and primarily used in the United States if the flight hours accumulated within the United States amount to at least 60% of the aircraft’s total flight hours. Qualifying flights must originate and end within the United States. includes an affidavit verifying the beneficiary’s citizenship, and, if any of the beneficiaries are foreign, an affidavit that the foreign beneficiaries would not have more than 25% of the aggregate power to influence or limit the exercise of the trustee’s authority. Roles and Responsibilities The type of trust you utilise depends on the needs of the aircraft purchaser. Typically the title of the aircraft is held by either a US citizen owner trustee (FAR Part 47, §47.7 Owner Trust Agreements) or a corporate trust (FAR Part 47, §47.8 Voting Trust). To avoid potential headaches, I recommend shopping around for a bank you feel comfortable with as a trustee. A good working relationship with the US bank that holds the title on your behalf is very important. My firm helps clients through this process fairly often. To start off we use a Trust Agreement which sets out each party’s rights in and to the aircraft and their respective duties. It specifies the respective roles and responsibilities of the parties (that is, the trustor, known as the Owner Participant, and the trustee, known as the Owner Trustee) and clearly states that the Owner Participant has no legal title to the aircraft. In the event the Owner Participant wishes to sell or otherwise dispose of the aircraft, we include a means for the Owner Participant to direct the Owner Trustee to either distribute the aircraft or sell the beneficial interest in the trust. Since the FARs require that the trust agreement be filed with the FAA, we provide the FAA with advance copies. This ensures we obtain FAA approval of the applicable trust documents before the trust is initiated and before the closing of the purchase agreement and delivery of the aircraft. Moreover, we explicitly preface our trust agreements with: â&#x20AC;&#x153;Trustor desires to create a trust and contribute the aircraft thereto in order to ensure the eligibility of the aircraft for the United States registration with the Federal Aviation Administration. It is the express intention and objective of Trustor that the provisions of this Trust Agreement comply with all requirements of US law and the Federal Aviation Regulations, including but not limited to such laws and regulations pertaining to the registration of aircraft and that the provisions of this Trust Agreement be construed to conform to this intention.â&#x20AC;? Lease Terms Together with the mechanism for ownership, we simultaneously prepare an operating lease between the Owner Participant and the Owner Trustee. The lease allows the Owner Participant to possess and utilise the aircraft as if it were their own. Of course, deciding the terms of the lease requires communication with the aircraft purchaser to understand their wants and needs. Of particular importance are issues concerning aircraft management, insurance and indemnification, tax liability, maintenance responsibility, subleases and assignments (to name a few). If you have an aircraft in mind or are just starting the purchasing process and this article has not already scared you away, the joy of aircraft ownership is truly something amazing. Just make sure you contact a qualified aviation consultant to assist in this daunting procedure. Whether you believe in global warming or not, there is no getting around the subject of the environment. Domestic and international regulations designed to offset climate change, will affect business aviation in the next decade. Just recently the European Union’s Emissions Trading Scheme came into force. By 2012 all flights into and out of Europe (including to non-EU countries such as Norway and Iceland) will be subject to the European carbon trading programme. In the USA it goes by the term “cap and trade.” Call it what you will, but we all need to understand upcoming regulations, carbon offsets and credits, and what we can do to reduce our carbon footprint when flying. There are many options for flying ecologically that can save you both fuel and carbon offset fees, once you understand the problems you are up against. together with the prediction that world air traffic will grow five percent annually for the next decade, have made reducing aircraft NOx emissions a priority for many governments. New Engine Technology In collaborative efforts, NASA’s Glenn Research facility and its partners have demonstrated a 50% reduction (below the 1996 ICAO baseline) in NOx emissions in combustors for advanced subsonic engines. As a result of this research, NOx emissions have been reduced by 90% (compared with today’s engines) in prototype combustor hardware for supersonic engines. This could usher in a new era of ultra-fast, ultra-clean engines. New subsonic engines with low-emission combustors should enable airports and air traffic to grow and still comply with national ambient air quality standards in most countries. Association (ATA) expects that bio jetfuels will become commercially available as early as 2013. The US Air Force has just recently ordered 833,000 litres (100,000 gallons) of camelina-based jet fuel from the Sustainable Oils Company. The camelina biofuel produces 80% fewer noxious emissions when burned than current petroleum-based jet fuels. It also has properties that should make it more tolerant to cold, a problem that plagues many potential jatrophaand algae-based biofuels today. Boeing has tested jatropha- and algae-based biofuels in its aircraft, and British Airways is participating in a pilot project to use landfill waste to produce jet fuel near Heathrow Airport in the UK. The ultimate goal, according to IATA, is to increase the fuel efficiency of aircraft by 1.5% every year until 2020, when the growth of carbon emissions is expected to level off. The longerterm goal is to reduce emissions by half by 2050. The cost of equipping aircraft with ADS-B technology is still a question, although estimates suggest it could be under $10,000 per light aircraft (those less than 5,670 kg/12,500 lbs). Larger aircraft may cost more, but many highend jets already support the technology through Mode S and TCAS. Once airborne, ask for the most direct routing to your destination, and ask for and remain at the highest practicable altitude for as long as feasible on the journey. This will generally both shorten your trip, and allow your aircraft engines to operate at peak efficiency for as long as possible, resulting in fewer noxious emissions and significant fuel savings. New Operating Procedures If purchasing a new aircraft with low emission engines is out of the question, and if it is unlikely you’ll be changing your aircraft to low-emission engines any time soon, then your best bet to reduce carbon and other noxious emissions is to operate the engines you currently have as efficiently as possible. The benefit is that you will save money in fuel costs in the process. Finally, ask for a constant descent profile. Calculate a perfectly smooth descent from your cruise altitude to your destination and commence descending when your reach that perfect point in space (ToD). By doing so, you can alleviate the need to add power to your engines at lower, inefficient altitudes. Asking for and receiving these efficient procedures should get easier as NextGen (in the United States) and SESAR (in the European Union) roll out ADS-B technologies in the next five years. However, any Mode S and TCAS equipped aircraft already have the ADS-B technology onboard. When combined with a high-end WAAS GPS, the technology can allow for perfectly smooth descent profiles where permitted by air traffic control. Begin by eliminating any idling, a time when an engine’s noxious emissions are at their highest. Always receive clearances and perform required crew and passenger briefings before engine start. Utilise ramp auxiliary power for as long as possible before switching to your aircraft’s auxiliary power unit (APU). Operate only the minimum number of engines required to taxi the aircraft under its own power to the departure runway. Consider this: each kilo of fuel saved is three fewer kilos of carbon emissions. That’s double savings to you, with a reduction in fuel burned and a reduction in carbon offset credits you may soon be forced to pay for each flight. SESAR teamed with the FAA to create the Atlantic Interoperability Initiative (AIRE) in 2007 and began testing. Trials in the complicated Paris, France airspace took place from April to October 2009 and included continuous climb departure from Charles de Gaulle (CDG) and Orly (ORY) to the northwest; tailored arrivals to CDG and ORY from the northwest; and continuous descent approaches to ORY from the southwest. In total, 90 flight demonstrations were carried out under the conditions of real traffic, following precise protocols. Calculations were performed on a final set of about 900 flights. For all types of aircraft participating, 25% less fuel was consumed during descent alone. “The extrapolation of annual potential savings of this initiative considering the Air France A320 and B747 flights only, leads to 3,900 tons of fuel and 12,300 tons of CO2,” says Patrick Ky, Executive Director of SESAR. While half of the continental US is already covered by ADS-B, there is still some debate as to how to effectively introduce it in the SESAR programme in Europe. The hope is that by 2011 the SESAR air traffic management master plan and work programme will be in place, allowing for the deployment and implementation of a new system of harmonised air traffic control throughout Europe between 2014 and 2020. Currently Australia is the only continent capable of completely utilising the ADS-B technology, however, China is in hot pursuit of the same goal. The results of the 2009 trials by SESAR and AIRE show conclusively that a change in operating procedures can cut noxious emissions and cut overall fuel consumption by aircraft significantly and immediately. A report released at the Amsterdam meeting in March 2010 states that the procedures developed for the tests last year are expected to go into effect as early as this summer. “But let me please stress this one point: for the results achieved, we didn’t have to develop new technology. AIRE is purely about making best use of available technology and improving procedures by working together,” says Ky.
Corporate or individual ownership of an aircraft for your own use is a fairly straightforward proposition. Command and control issues, taxation, crew responsibility and maintenance requirements are all relatively unambiguous, when the aircraft is owner-operated. But what is the situation if you want to lease an aircraft rather than buy? In simple terms, leasing involves the use of someone else’s aircraft, in your service. Another way to consider a lease is to think of it as a purchase, but you’re buying just part of the lifetime of the aircraft and not its residual value. William Quinn of Aviation Management Systems (New Hampshire, USA) boils it all down to this: “Leasing is essentially an alternative to debt financing.” That sounds easy and simple, but there are two areas to consider: financing and operations. Lease financing is the more finite of the two. According to Quinn, financing issues you should consider include rate structures, early buyout options, termination clauses, and stipulated loss figures. Each requires the lessor and lessee to make some decisions, and each is affected by operational considerations. Wet or Dry? Operationally there are essentially two types of lease: wet or dry. Generally a wet lease (in which crew is supplied with the aircraft) is tantamount to a charter, for both the lessor and lessee – and is usually seen as such by the regulating bodies. A dry lease comes in two broadly defined flavours: a lease from a financing company (such as a bank) or a lease from an owner/lessor. The latter has become quite popular recently because many companies have found they have too much aircraft capacity and are seeking a way to defray the expense of an aircraft on which they may owe more than the current market value. Owner/lessor aircraft can present quite a good deal for any company that needs an aircraft, provided the mission requirements are met. Because the owner/lessor scheme is the fastest-growing, and therefore possibly the least understood of the three (wet, traditional dry, and owner/ lessor dry lease), the rest of this article will focus on this arrangement. Everything is Negotiable Unlike practices in higher-volume industries (for example, automotive), the leases for pricey aircraft can be tailored to each contract. Additionally, unlike consumer leases, aviation dry leases face little governmental oversight. The good news from this is that you can work with your owner/lessor to craft a lease that will perfectly suit you. The bad news is that many leases are loosely written, and the ambiguities that eventually need resolution can be inconvenient and costly. Possession, Command, and Control First, you’ll need to know if you intend to be using the aircraft exclusively (as in a strictly corporate operation), or if others will be flying under your flag (in which case, you may have the making of a charter operation, and need proper certificates and other documentation). Would you be better off with a fractional agreement, time-share, interchange, or joint ownership arrangement rather than a straight lease? Casey Blake, President of Jet Linx (Indianapolis, USA), advises clients to first determine that they really want to lease rather than buy. “Leasing is one option, but probably not as good as owning, if ownership is really what you want.” Ownership is an obvious alternative; but so are fractional, time-share and jet card arrangements, as well as traditional charters. The best solution for you will depend on your mission needs. Will one aircraft, or one size and type of aircraft, best serve all your air transport needs, or is some flexibility – in capacity and scheduling – a better deal? Once the basics are established and you have confirmed that you want to lease, develop a clear plan before going to the table. Consider, for instance, crew issues. You need to establish oncall provisions; crew documentation (including certification, medical exams, inoculations, citizenship papers, ICAO compliance); and options for those occasions when scheduling will prohibit your primary crew from making all the flights you need. Whether you opt for a wet or dry lease, these questions need to be answered, either in the lease or in your operations plan. It is impossible to predict how much trouble a particular oversight can create, so it is important to cover every imaginable contingency. The leasing industry has no standard set of checklist items, and lessors’ experiences vary greatly. Therefore, never assume that the offered lease agreement will be complete after you have filled in all the blanks. The things that are not on the lease may become important. You know your requirements; make sure they are met. location of the aircraft when the failure occurs, and what the insurance policies say. All of these considerations should be thought through and spelled out in the lease. Your insurance policy can be used to enlarge your checklist when writing the lease. It will lead you to consider additional items such as routine and unscheduled maintenance, repairs of various types, your engine programme (including trend monitoring), catering and hangarage expenses, to name a few. Security can create compliance, as well as operational headaches. You must consider security issues both when the aircraft is at home and while it is employed on a mission. What about acts of terror or unpredictable government actions (like closing the borders while your aircraft is within them)? You have the immediate problems of inconvenience, as well as regulatory issues. Recently a friend’s jet was grounded in Tbilisi, Georgia. The aircraft’s registration and airworthiness certificates went stale; the onboard fuel went bad; maintenance ceased, and local contractors could not be located. If this had been a leased aircraft, who would have been responsible for each of these problems? Naturally, nothing is free. The more you expect of the lessor, the more you expect of insurance, the more flexibility you build into the lease, the more it costs up front. On the other hand, failure to consider something that subsequently becomes important often costs more than pinning it down during negotiations. So, the bottom line is: 1. Know your needs 2. Determine your risk tolerance 3. With your lessor, write the lease provisions, clearly and in sufficient detail 4. Negotiate your pricing and terms. With a proper plan, even a one-aeroplane flight department can avoid missed trips caused by required maintenance. Whether this is your first jet aircraft or an add-on to your growing flight department, the best time to ponder how you will maintain your aircraft in an airworthy fashion is before you acquire it. As a high-end product, with a price tag to match, a jet aircraft simply must function when you need it and prove its value day in, day out. for some, calendar-lives, after which they should be replaced regardless of condition. Other components can be utilised whilst they remain in good order. These may be flagged for replacement during regular manufacturer or state-mandated intervals. To make the whole process even more complex, many of these intervals do not sync-up with each other. Add that to the typical scenario where each aircraft is custom built with a variety of different equipment on board (and yes, even different engines) and you have a recipe for some very complicated maintenance protocols. New owners are often surprised to discover that maintenance on a jet aircraft is 90% paperwork and that the up-to-date paperwork must fly with the aircraft at all times. This is particularly important for aircraft that cross international borders, which is standard for turbine aircraft. Don’t think that the paper can be easily created “on the fly” to satisfy inspection officials. In most cases it cannot, and the delays and fines incurred will dissuade you from ever allowing that tactic an encore appearance in your flight crew’s bag of tricks. The solution to keeping turbineequipped aircraft of all sizes and types airworthy is a comprehensive, progressive maintenance plan that can be customised to the specific operator and aircraft, and the personnel to help keep that aircraft on that plan. Automatic Updates If your aircraft is factory-new, there is no need to re-invent the wheel. The manufacturer’s recommended maintenance protocol (known as Optimised Continuous Inspection Programme or OCIP) is the way to proceed in the beginning, especially if you are new to turbine aircraft. Every jet manufacturer offers a comprehensive, computer-based programme that can be accessed via the Internet by your maintenance personnel or by those at the maintenance station where your aircraft are serviced. This software is programmed at the factory for your specific aircraft and all of its components, and, depending on the sophistication of your aircraft, may even communicate with the aircraft itself. inspections at a manufacturer-certified service centre near where the aircraft is projected to be at the time the inspections are due. The advantage of using the manufacturer’s recommended service centres is that the technicians on hand know your aircraft type intimately. They also stock the specific parts required for rapid inspection and can, if necessary, repair or replace. Some service centres, such as Cessna’s, are now expanding to provide mobile maintenance technicians, equipped with their own specialised tools, who can come to your aircraft if need be. Extended Protection Take advantage of any extended warranty protection offered with your new aircraft (Manufacturer Service Programmes or MSPs). These warranties provide the aircraft owner with complete replacement protection on engine and airframe components for a fixed cost perhour. That hourly rate varies with each aircraft type, make and model. “The key phrase to remember here is fixed cost,” says Desert Jet President and Chief Pilot Denise Wilson, the owner and operator of three turbine aircraft near Palm Springs, California. Fixed costs are particularly helpful to new turbine aircraft owners, who, with MSPs, can quickly get a firm grip on budgeting their flight department. MSPs can also be purchased in association with refurbished aircraft. Wilson believes that, the older the technology on your aircraft, the more you should consider purchasing an MSP to protect your investment. If your aircraft is a refurbished or renewed machine there are several alternatives to manufacturer maintenance OCIP that are worth exploring. More than 12,000 operators worldwide utilise CESSCOM/CAMP software solutions for maintenance tracking. It is a factory-preferred solution for the Boeing Business Jet (BBJ), Bombardier, Cessna, Dassault Falcon, Hawker Beechcraft, Learjet, Piaggio and Pilatus lines of aircraft. Never Miss a Service “Since we’ve moved to the CESSCOM/ CAMP progressive maintenance programme based on condition, we’ve never missed a trip due to scheduled maintenance,” says Captain Mike Whitty, who flies a Dassault Falcon 900EX Easy for a private owner from West Palm Beach, Florida. “Our aeroplane is out of service for maintenance an average of four days a month, but we have flexibility to do the maintenance around scheduled trips. That was more difficult on the factory OCIP plan,” Whitty explains. His company’s Falcon 900EX EASy, delivered in 2008, spends most of each summer flying intercontinental trips back and forth to Europe, and stretches its legs as far as Moscow, Russia, with some regularity. This past year the organisation added a dedicated maintenance professional to its ranks, and Whitty cannot say enough good things about the arrangement. adapt and thrive The new communication climate Is your aviation website an interactive sales tool or a passive business card? People are discussing your company/products across the social media landscape. Are you listening? Are you talking back? In short, are you wise to the power of influential marketing? We are. And we can help you. eReaders can be grouped into three broad categories: mobile, casual and interactive. Mobile devices include the iPhone and iPod Touch. Casual readers have no keyboard and therefore no search capabilities. Interactive devices enable you to search the text, highlight sections and even make notes – all things that you can do with a regular book. It is the interactive devices that interest us most. The market leaders are Amazon’s Kindle and the IREX from IREX Technologies. Both come in two varieties – a paper-sized version which is similar in size to the screen of a netbook, and a smaller, portable device with a screen size between 15 and 20 cm (6 to 8 inches). For non-US users the Kindle has a major drawback – it only ships with a US power-plug, meaning we must carry an adapter or replace the plug with a local version. In July 2009, Jeppesen, SOLIDFX and IREX Technologies announced that they were collaborating to provide Jeppesen’s worldwide terminal chart database on the IREX 1000S. This makes the IREX a very attractive option for those in the business aviation industry. Add to that upgradable memory, localised power plug, and a focus on making non-US content available. That makes either of the IREX offerings my pick for an eReader. Note: I received some criticism in the FlyCorporate office because I did not include Apple’s latest toy, the iPad. The iPad was excluded because, at the time of writing, Apple had not announced any plans for users outside North America to download or purchase content. With a history stretching back over two and a half thousand years, Rome certainly stakes a powerful claim to the title of the Eternal City. With all that history it is no surprise that Rome is the third most-visited city in the European Union. While culture and tourism may be the major industries, the city is also home to modern high-technology companies, especially in the areas of aerospace, information technology, telecommunications and banking. Airports Ciampino Airport (LIRA) Ciampino Airport is utilised by general and commercial aviation as well as the Italian Air Force. The facility is located just 13 km from central Rome and operates 24 hours a day with restrictions. Ciampino is a designated port of entry and slots are required. Fiumicino (LIRF) Leonardo da Vinci (Fiumicino) Airport is Italyâ&#x20AC;&#x2122;s largest and busiest. Located 35 km west of the city centre, the airport is open 24 hours a day and slots are required. In 2009, Fiumicino handled over 33.7 million passengers. Figures for the first quarter of 2010 show a 7.4% increase in passenger traffic. Urbe Airport (LIRU) Located about six kilometres north of the city centre, Urbe mainly handles private and helicopter flights. The airport is open from 06.30 until 30 minutes after sunset. It is an airport of entry and slots are not required. FBOs Ali Trasporti Aerei ATA (LIRA) ATA is a general aviation handler located at Ciampino Airport. Full aircraft handling services are offered 24 hours a day, seven days a week. VIP and passenger services are handled through the company’s air terminal which includes a crew lounge, and customs and immigration facilities. Argos VIP Private Handling (LIRA) Argos is a leading provider of assistance to executive and business aviation flights. The company offers a high level of service including a dedicated concierge who is available to make hotel bookings, hire car and limousine reservations. The crew and aircraft are also well looked after. Sky Services (LIRA) With five locations across Italy and 15 years of experience, Sky Services offers one of Italy’s biggest FBO networks. At Ciampino the company offers valet car parking, dedicated VIP lounge, meeting room and a helicopter transfer service. Your aircraft and crew will also be well looked after. Airconsult offers ground handling services for both business and commercial aviation throughout Italy. The company provides everything you need for corporate and executive flights including ground handling, transportation, expedited customs, hotel bookings and catering. A certified ground handling and aircraft maintenance provider, Servi’s Aviation also maintains a full service FBO at Ciampino. VIP and crew lounges, limousine services for passengers and crew, aircraft handling and catering are all available. Universal’s Rome facility offers full ground support for aircraft, crew and passengers. The facility is open every day of the year, 24 hours a day. Universal Rome can be found at the front entrance to Ciampino’s General Aviation Terminal. Ghigi Handling & Services (LIRU) Located at Urbe Airport, Ghigi is primarily an aircraft handler offering fuelling. However, the company also provides assistance to passengers and crew and can arrange ground transportation including taxis and vehicle rentals, hotel reservations and helicopter transfers. Connections Ciampino and Fiumicino airports offer car hire, taxi and limousine services as well as parking if you take your own vehicle. Parking at Ciampino can be booked in advance and doing so will save you money. Taxis are available at Urbe Airport. At Fiumicino you can hire a car with a driver if the thought of driving in Rome’s chaotic traffic sends shivers down your spine. Fiumicino also has a non-stop connection to the city’s main train station (Termini) which takes around 30 minutes. Slower services, which stop at some of the intermediate stations, are available. Top Business Hotels Despite the density of the central part of Rome, most hotels are large and offer comfortably sized rooms. The city is incredibly popular with tourists and advance bookings are recommended. This is particularly important during the summer months (July to September), at Easter and around the New Year period. The Aldrovandi is a beautiful property situated in an upmarket residential area of the city. Due to its location outside the main tourist area, you will need to use the limo service to get about. However, the green surroundings make this hotel an elegant oasis of calm. The extremely friendly and personal service is a major plus at the Lord Byron. The rooms and suites are in a charming and elegant art-deco style. The peace of this hotel makes it a good place for business travellers who need to work during their stay. The luxurious Exedra can be found on the magnificent piazza that houses the ancient Roman ruins of the Diocletian Baths and the Basilica of Santa Maria degli Angeli. Neoclassical in style, the hotel has 240 spacious rooms (many with a small walk-out balcony) and a splendid rooftop terrace with pool. This mid-sized private hotel (85 rooms and 15 suites) has a long-standing reputation for attention to detail. It is small enough to nurture a warm, convivial atmosphere. Situated on the Pincian Hill close to the top of the Spanish Steps, the front-facing rooms benefit from magnificent views. This well-appointed turn-of-thecentury hotel has benefitted from recent refurbishment. Guest quarters are comfortably large, including the bathrooms, which are equipped with slippers and deluxe bathrobes. The Westin is a fine place to stay, if you can ignore the rather haughty staff. Trip Tip: Rome Built by Hadrian, the Castel Sant’Angelo on the banks of the Tiber has been used as a burial site for Rome’s emperors, a military barracks, and as a treasury and hiding place by popes. Today the castle houses a museum. Higher than most of the surrounding buildings, the Castel Sant’Angelo provides one of the best views of Rome from its rooftop. A small cafe serves coffee, wine and snacks, so you can linger and enjoy the stunning panorama of this ancient city and its monuments. 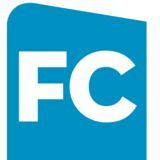 FC Picks for a Power Lunch or Dinner Pasta dominates Roman food and forms an integral part of most meals. A full dining experience will consist of four courses: an antipasto (entrée); the primo piatto (usually pasta or rice); a secondo piatto which can be either meat or seafood; and then a salad (known as insalata). Dessert of gelato or pastries may follow, or you can skip straight to the coffee. Just remember not to order a cappuccino after mid-morning unless you want to stand out as a tourist. This is a classy place to dine and the service is excellent. The rustic interior has an air of elegance and the Mediterranean cuisine, with Neapolitan influences, is of the highest standard. Reservation is recommended. Be sure to make a reservation to guarantee a spot at this high-class restaurant. With its fabulous selection of seafood, Quinzi & Gabriel is popular with local VIPs. The staff tend to be kinder to non-Italians if they dress the part. If you would like a less conventional dining experience and don’t mind surprises, then why not give the elegant L’Eau Vive a try. Run by a lay sisterhood of missionary Christians, the menu of fine French cuisine changes daily. Efficiently run by husband and wife team Agata and Romeo, this restaurant delights its guests with modern Italian cuisine. Agata, the chef, uses the finest ingredients and her sommelier husband ensures perfect wine-food pairings thanks to the 1,500 labels in his cellar. Try the tasting menu at this friendly, well-regarded restaurant. The creative, delicious food is beautifully presented and the staff knowledgeable. Il Convivio is a good place for business dining as the space is divided into a number of smaller rooms that give a feeling of privacy. A warm, welcoming interior featuring antique furniture and vaulted ceilings awaits you at El Toulà. The menu includes typical high-end choices, such as caviar, as well as contemporary interpretations of Italian classics and special housed dishes with a hint of Venetian influence. FC Picks for a Post-Meeting Drink Doppio Zeroo is an ideal spot to enjoy some liquid refreshment at any time of the day; a smart, fashionable space and possibly one of the best choices for a good glass in smart surroundings. An alternative is Zest bar. You’ll need to head up to the seventh floor of the Radisson Blu hotel where you will find this roof-top bar – a favourite with fashionable locals in both winter (when the roof closes) and summer (when the pool deck opens). For an al fresco drink, why not join the wealthy set at Caffe della Pace and people watch from the terrace. ‘Book bar’ by day and cocktail bar by night, Salotto42 is a stylish place to savour a coffee or cocktail in comfort. The bar is owned by a Scandinavian model so expect the place to attract a certain crowd. BUYING A NEW AIRCRAFT ISNâ&#x20AC;&#x2122;T FINANCIALLY IRRESPONSIBLE. RULING IT OUT IS. Admittedly, money is harder to come by these days, but when the air is cleared of hyperbole and rhetoric, a persuasive case for business aircraft emerges. For starters, we are currently experiencing historic low rates for quality borrowers. And, with commercial air travel becoming less viable every day, the competitive advantages of a business aircraft become even more apparent, and quantifiable. History shows seven out of ten companies bold enough to invest during a downturn hold onto their market gains when the economy recovers. Leaving only one additional statistic to ponder: Cessna has more repeat customers than any other aircraft manufacturer in the world. All of which is why buying a Cessna today may be the most prudent business decision you will make this year. RISE. May we help you develop your plan? Visit www.flycorp.cessna.com or call 00.800.6060.0006.